The folks over at University of Michigan's Osher Lifelong Learning Institute (OLLI) asked to come back for another lecture.I had been doing some research for the 11th edition of The Rich Get Richer and the Poor Get Prison to update the opening of the book. It will be/came out Oct 2016 and I'm skeptical about how much will be accomplished. But see what you think. 1. 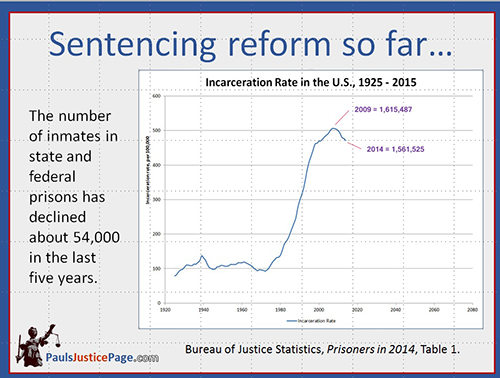 Here is the incarceration rate, to show how much has been accomplished so far; it may or may not match the amount of bipartisan hype about the need for sentencing reform. 2. 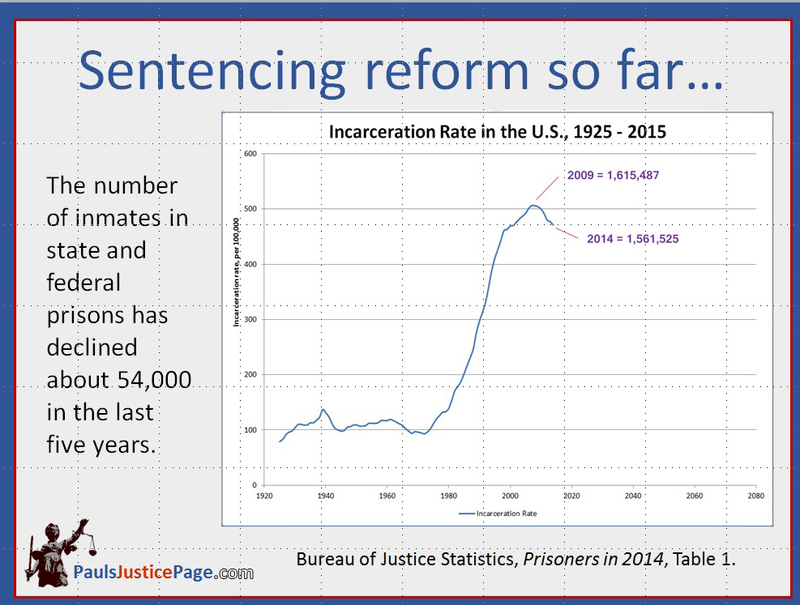 So what are the expectations for sentencing reform? 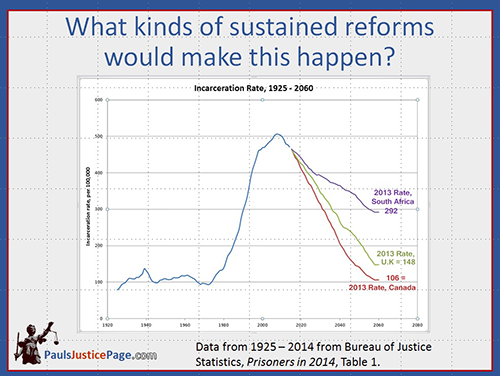 What kinds of changes in legislation and political climate would be necessary so, over the next 45 years, we could get down to the current incarceration rate of South Africa, UK, or Canada? The OLLI folks were doing a series on violence, and they wanted me to spend some time addressing solutions. The talk tries to do some critique of mass incarceration in terms of understanding how incarceration becomes less effective at crime reduction as we incarcerate more and more (and more and more and more...) people. It also addresses sentencing reform, prison reform and crime prevention strategies that go beyond reliance on the CJ system. The U.S. is experiencing what observers call mass incarceration, hyper-incarceration and ‘a plague of prisons’ because it has the highest incarceration rate in the world. 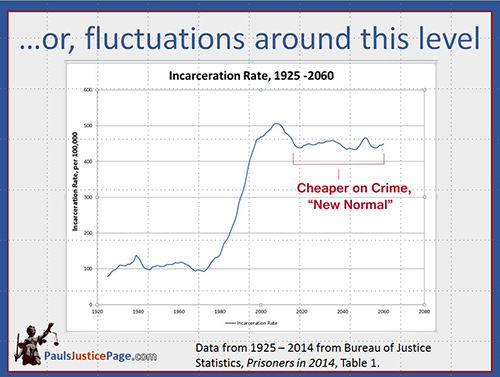 Many criminologists believe prison currently causes more crime than it reduces. With Republicans and Democrats crowing over the need for reform, significant change may seem like a foregone conclusion. Is it? 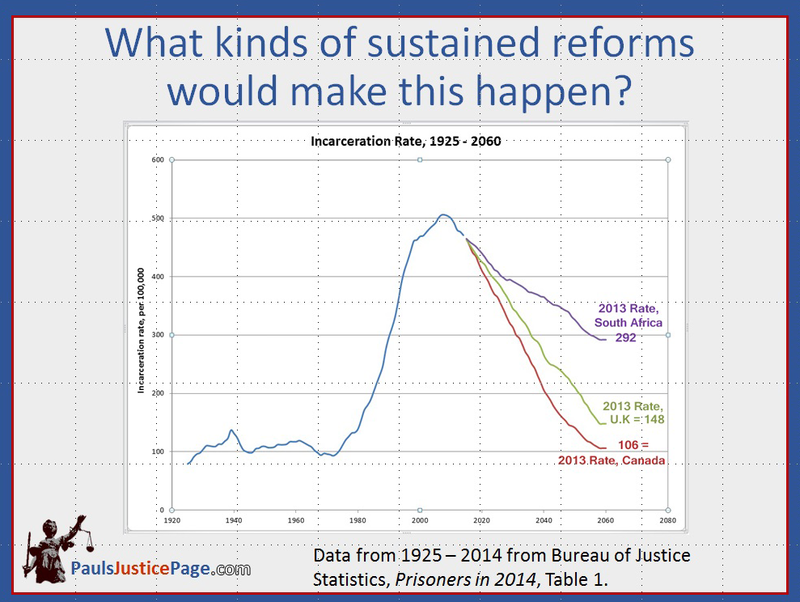 How far would reforms really go? What important ideas are not being discussed?